It was a banner day for baptisms at Mallalieu United Methodist Church in Jennings when 17 children and adults received the sacrament by immersion, all during the same worship service! Rev. 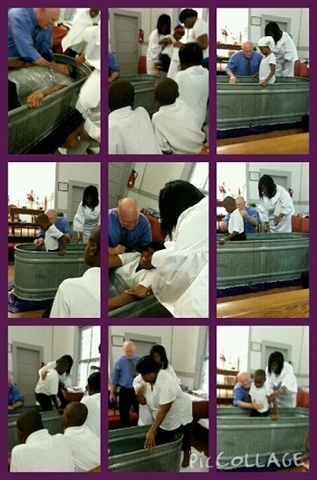 Steven Spurlock led the group baptism, assisted by Rev. Kimberly Richard, pastor of Mallalieu UMC. 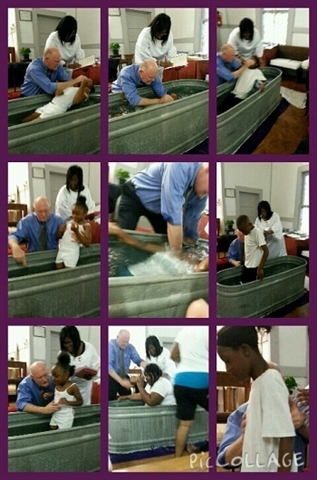 “The group asked to be immersed, but the church doesn’t have a baptismal pool. To improvise, I rented that tub for the day and my father helped to set it up for me,” said Rev. Richard, who was determined to fulfill the request! “It was a wonderful and special time for our congregation,” added Richard.